Exposure (US$1.99) is a slick iOS app that lets you selective apply effects to your photos. Of course the app also lets you globally apply an effect too, like sepia tint or black and white effects, but the nice feature here is the ability to use your finger to paint out an overlay and substitute a color or effect. The app is smart so it can pretty easily separate objects. For example, you can paint a building in color while the background remains black and white. In general, the effect stays in the proper place and doesn't splash out of the selected area, although you may need to do a bit of touch up, which is easy. There are numerous effects in the app, like intense colors, a Picasso effect, glows, pencil sketch, watercolor and more. I thought the tilt-shift effect was well implemented, allowing objects in your photo to look like miniatures. An undo command lets you step back and rework part of the photo, and you can completely clear an effect and start again. You can zoom in or out of your photo to make it easier to define the area you are working on. There is also the ability to open your photo directly in another photo editor for any finishing touches, cropping, or adding text or frames. 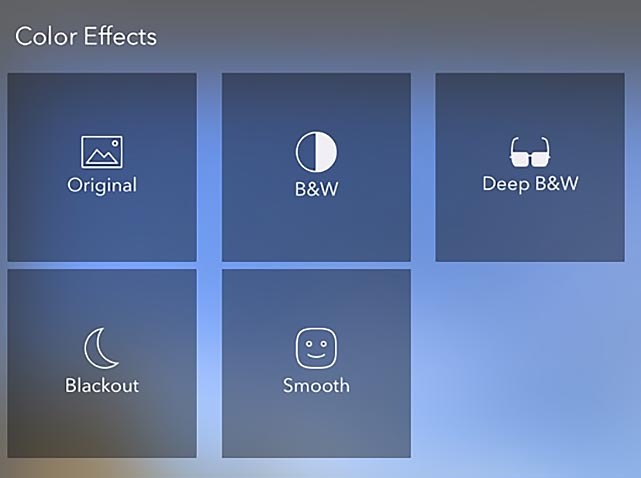 You won't want to use this app on every photo, but when you need the effects it offers, it can make for a stunning presentation. I found no glitches using the app. It was responsive and easy to use. Tutorials are built in, plus links to video examples. Exposure requires iOS 7. It's a universal app, and I found it particularly easy to work on using my iPad, but it's just fine on an iPhone too. The app is optimized for the iPhone 5 and 6 series. Exposure for iOS lets you selectively edit and color a photo originally appeared on TUAW: Apple news, reviews and how-tos since 2004 on Wed, 10 Dec 2014 16:00:00 EST. Please see our terms for use of feeds.